Steve Cambden's two excellent books, The Doctor's Affect and The Doctor's Effects – are both still available, while stocks last. You won't find either book on Amazon – they're only available to buy direct from Steve. As you'll see from our recently-added reader's quotes on Steve's pages, both books are a must-read for fans of classic Doctor Who, visual effects and the later part of the Tom Baker era in particular. They're recollections told from the heart, from the memories of a 16-year-old fan who's dreams came unexpectedly true! If you're outside the UK and would like to get copies, email me at alex@sevenzero.net. It's been a long time since I last posted any 'thoughts' here. I think my interest in the show had seriously waned after the 2015 season, so come this year's season, I went into it with low (if any) expectations, concluding that after this, I'd write off the current version of Doctor Who for good. Sometimes being proven so wrong, feels good. I'd go as far as saying that Peter Capaldi's final season was possibly the best season since 2006. After far too long, we returned to good, solid writing and new ideas, and at long last, it felt like Doctor Who had found its spirit once again. So what a shame that this would be Capaldi's final season, having found his feet in the role, and being consistently brilliant despite the lousy scripts of previous seasons. With that in mind, I had joyously welcomed the news that Steven Moffat was at last leaving the show, and passing the mantle over to Chris Chibnall. So we all knew that big changes would be afoot. Before anything had even been announced, I was hoping the show would undergo a change as significant as Baker to Davison. Then came the announcement of Jodi Whittaker. I'll be honest and say it did surprise me, that they'd finally taken the chance to have a female Doctor. I still remember the feature in DWM in the mid-1980s when the idea of a female Doctor was discussed – and it's been forever mooted since then. So what do I think? Well as a traditionalist, I do wonder if it will still feel like the same show I've always loved. It will certainly feel a little strange at first – especially so far down the show's timeline – to suddenly have a female Doctor. Personally I wonder if it isn't too late now. Then again, since all the 'rules' have been bent and it now appears the Doctor will go on regenerating indefinitely, anything is possible! And at the same time, this is the only show where you can change the gender of your leading character like this; there are no regeneration 'laws' to say that gender cannot change too. Change is the very reason why Doctor Who is still on our screens, after all. I like Jodi Whittaker – she's a great and versatile actress; not typecase or predictable. So I'm not going to pass a verdict until I've seen an episode – if the writing is there and it still feels like Doctor Who, then will it really matter if he's now a she? 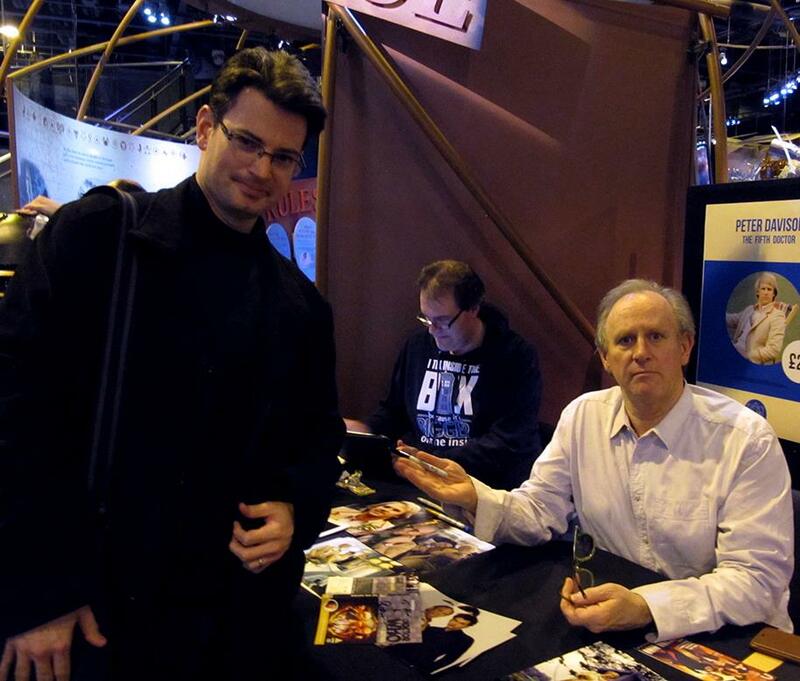 Yesterday, at the National Space Centre in Leicester, I finally met "my" Doctor, Peter Davison. I'd waited so long for this moment, and still managed to feel like an idiot! But Peter was in a great mood, and we briefly discussed the autobiography he's currently writing. I gave him my last printed copy of Who, Where & When. 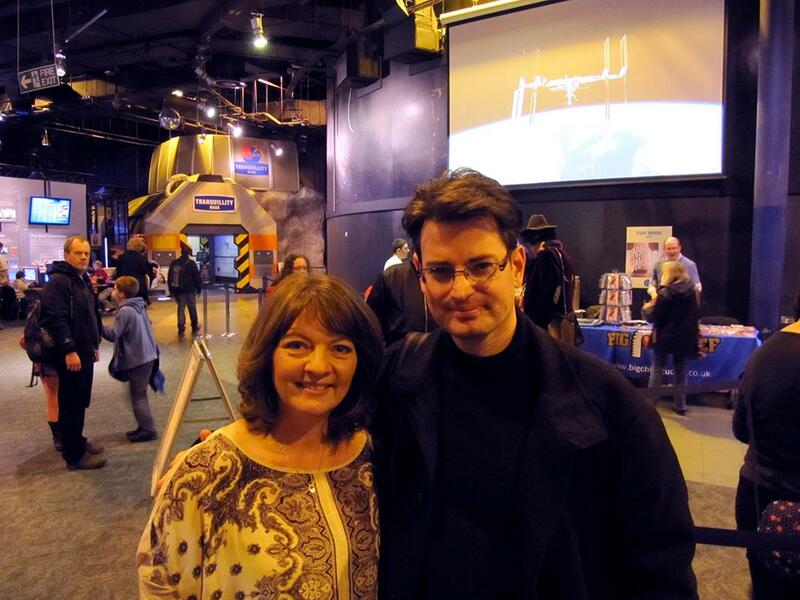 Peter was there with Sarah Sutton who was absolutely lovely – what a moment to remember. A recent addition to my art website is a hand-rendered Dalek piece (produced in ink) inspired by Resurrection of the Daleks and the fascinating on-set photographs from Mat irvine's 1986 Doctor Who Visual Effects book. Heaven Sent. For me, this was not only the best episode of the season, but the best episode for several years. It felt great to have Doctor Who properly back on our screens at last! In fact, I probably haven't enjoyed an episode this much since the David Tennant era. Heaven Sent was dark, scary, clever, creative and unpredictable. Everything modern Who should be, and everything the last few seasons generally haven't been. The one consistently brilliant thing this season has been Peter Capaldi. A magnificent Doctor, perfectly portraying a crazy blend of ALL the previous Doctors. But if he really came into his own, then it was in this episode. OK, the ending may have been a little OTT, and I'm yet to work out why the impossibly tough icey, diamondy stuff didn't renew itself when the rest of the rooms reset, but those are minor points in comparison. And if that wasn't enough excitement, next week's finalé and long overdue return to proper Gallifrey looks superb! I'm going to the time of day to The Girl Who Died and The Woman Who Lived, and go straight to The Zygon Invasion / The Zygon Inversion. The first episode felt refreshingly traditional. It wasn't trying to be some pompous, convoluted story; here, we went back to basics with a good old invasion type story, and it worked. Finally, an episode of the current season that genuinely felt like proper Doctor Who – and an example of how contemporary Who should be – well-written and scripted with the right balance of action, horror and humour. All vital ingredients. I would have liked to have seen a new story for the Zygons, not something connected to any previous story. With that in mind, I was initially sceptical about the return of Osgood, but, you know what? She stole the show! The Osgood character has really been allowed to develop nicely, and she's witty and savvy, but above all, refreshing. That word again. Ingrid Oliver has turned out to be a real gem, and I for one was quite sorry to see her decline the Doctor's offer of joining the TARDIS crew. That said, I'm still unsure about the whole fan parody aspect of her personality and indeed attire. But get rid of the question marks, she would still make an original companion. We also saw what was possibly Jenna Coleman's finest hour, as the evil Clara, or "Bonnie".Although it feels like time for a new companion, Clara will certainly go down as one of the most outstanding companions since the show's revival. While this was finally a worthy return for the Zygons, I did feel the monsters themselves were a little under-used. And despite the overall high quality of the visual effects this season, the new Zygons look more like men in rubber monster costumes, than the original 1974 Zygons did! The main difference is the new costumes stay in one piece. Now, the Doctor's "epic" speech. Judging by comments on the forums, many fans found themselves barfing into their current copy of DWM in horror at the overblown monologue. Other fans felt tearful with delight. While it did go a little OTT, this was possibly Peter Capaldi's defining moment as the Doctor. OK, the result was perhaps a slightly disappointing resolution (at least for those wanting to see every Zygon on Earth turn itself inside-out), but this was the Doctor doing what he does best. Later this week I'm attending Novacon 45, the UK's longest-established SF convention, where I'll be exhibiting my artwork. 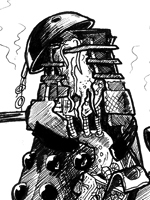 Among my work is a new Dalek illustration, rendered in ink, and inspired by Resurrection of the Daleks. Click here to see it! Not Doctor Who-related, but hopefully of interest to some fans out there – my new album of instrumental electronic music, Timeshift is available now via Bandcamp. While there's a wide range of influence to my music, there's no denying the influence of the Doctor Who music over the years. Come and have a listen! I've little to say about - I can't even remember the name of the episode. Honestly, what's the problem with giving a two part story one title? Then part one/two. All style over substance, and a rushed episode in comparison to last week's slow paced episode. But visually, very impressive and original. Just a shame the Fisher King was so under-used. Once again, Peter Capaldi and Jenna Coleman were excellent. If only they'd had a story with a degree of intelligence and originality. I enjoyed it. But it could have been so much more. After being away during the original broadcast, I've been catching up with the first few episdes of Season 9 via the wonderful BBC iPlayer. The first thing I should say – starting on a positive – is that Peter Capaldi is possibly the best Doctor to have graced our screens since the show's return. Although in the new episodes so far, he does appear to be randomly slipping into a Tom Baker impersonation, but aside from that, you really do feel that all the previous Doctors are compacted into one through his portrayal. So, let's get on with my thoughts on the oddly-titled The Magician's Apprentice and The Witch's Familiar, which I watched as an omnibus. So the Beeb went to the hassle and expense of gathering together all the various Dalek props. Again. And just with Asylum of the Daleks, to me, it felt like a wasted opportunity. What's the point in just having them as background props that wobble a little? Especially when they've gone to the efforts of re-creating such a stunning Dalek city and control room. This story was really a superb opportunity – given the props to hand, sets and Skaro setting – to go back to the Daleks' roots and make them scary and mysterious again. And it failed, instead playing out every tired Dalek cliché to date. And since when could a human comfortably sit inside a Dalek machine? They were surely designed to house a small Kaled mutant. And all those glorious classic Dalek props were largely confined to the one set, barely moving. One of the many things about Genesis of the Daleks that still works so well today, is the way the Daleks were all shot in the shadows, playing to their iconic silhouettes. They have a real mechanical menace to them, which has been lost in recent years. Even the low-budget Destiny of the Daleks is incredibly atmospheric and the tatty Dalek props still work brilliantly, thanks to the creative camera angles. And having every single Dalek having the same Nicholas Briggs voice is really starting to sound stale. But admittedly, this was more a story about Davros than the Daleks. So the basic premise: Davros is dying, and wants to have one last chat with the Doctor "as scientists". What a great idea. If only this aspect of the story had been given more attention, rather than the convoluted and un-necessary mess that took up most of the first episode. We didn't need Missy back already. We didn't need the frozen planes and UNIT. And we certainly didn't need the medieval "dudes" and the cringeworthy moment of the Doctor playing his own theme tune on an electric guitar. The episode got off to a brilliant, atmospheric start on Skaro with young Davros stuck among the creepy "Hand Mines". It really should have continued like this, making more of that Davros back story, instead of the over-excited mass of nonsense we had instead. The problem is, nobody knows how to write a decent Dalek story any more. In fact, I don't think there's been a genuinely good Dalek story since the first season in 2005. That said, like Genesis, this was a Davros story more than a Dalek story. And even though he'll never be as good as Terry Molly, Julian Bleach is excellent as Davros. Then came the moment when Davros borrowed Darth Vader's line from The Return of the Jedi and wanted to see something through his "own eyes". Hang on? Doesn't Terry Nation's original description for Davros talk about scorched-out eye sockets?! And suddenly - oh, he's got eyes and he can open them! And what's more, he looks ridiculous. One of the show's most iconic characters instantly ruined. Thanks a bunch, Moffat. One of the eternally creepy things about Davros is that he HASN'T got any real eyes! Seeing only through his illuminated forehead-mounted eye. I'm starting to think that the photograph we often see of Steven Moffat as a child apparently engrossed in the Target paperback of Destiny of the Daleks, is actually a good photoshop job, and he's actually reading an Enid Blyton paperback. Clearly, he hasn't got a clue about Doctor Who mythology. Or – worse – he doesn't actually care. So with yet another wasted opportunity to do a great Dalek story out of the way, it was time for Under the Lake. Within minutes, this episode instantly felt more like the way modern Who should be – creepy and wonderfully atmospheric. In complete contrast to Moffat's crazy excuse of a Dalek story, here we finally get back to solid, simple and effective story telling. The ghost effects worked brilliantly and the whole thing looked superb. That said, I soon found myself feeling very confused about what was going on and the episode was starting to drag. I kept wondering when it was going to end and how quickly they would reach a conclusion. So imagine my surprise when we had a cliffhanger! I had been expecting a single-episode story. If this is indeed signalling the return of the much-missed episode cliffhanger, then I'll be happy. A short review in comparison, but that's because there was less to moan about and a more thought provoking and mysterious story to follow. Brilliant. A grumpy, unpredictable, goggle-eyed, turtle-like Scotsman in a fancy jacket. Finally, a proper Doctor. Peter Capaldi brings together the crazy/genius of the Fourth Doctor alongside the dark/light aspects of the Seventh Doctor’s personality, dressed with the Third Doctor’s sense of style, culminating in the perfect persona for the modern age. Capaldi seamlessly blends old with new and brought a darker and more erratic side back to the Doctor’s personality, and he completely stole the show, in all the ways a good Doctor should. Clara’s relationship with Danny Pink was doomed from day one. Her character has evolved into an indecisive and emotionally unstable kind, clearly not suited to any kind of relationship (she no longer has any chemistry with the Doctor), and certainly not Danny, whose character it seems, was designed to be irritating from the outset. Sadly the companion of Clara seems to be a leftover from the Matt Smith era, and maybe it’s time for her to go (and if she can take Steve Moffat with her, that’d be a huge bonus). So many disappointments. So many bad ideas. So many missed opportunities. Out of the entire season, I would only consider Into the Dalek, Flatline and Dark Water episodes of any value, and the only ones I would want to watch a second time. Kill The Moon could have been great – the first half certainly was, but anything credible or enjoyable came crashing down when it transpired that the Moon was in fact, an egg. With a dragon thing inside. In the Forest of the Night was perhaps the best looking episode of the season, with the gloriously realised overgrown London. If only there had been a decent story to go with it, instead of what was essentially a school trip escapade. Dark Water held great promise, and finally felt like modern Doctor Who should, but all that came to an abrupt end with the concluding episode and season finalé. With the exception of Bad Wolf/Parting of the Ways, every single finalé has been a dreadful, pompous, overblown and convoluted mess, seeing the production team simply trying too hard too fit everything into an episode at the sacrifice of a good story and respect for viewer’s intelligence. Death In Heaven was no exception, and yet another modern Who story consigned to the bin of embarrassment and the kind of stories that you’d rather forget. The series sorely needs more writers – new writers. Perhaps those with less of a connection to the series, if any at all. Steven Moffat has turned out to be a one or two hit wonder, with only his earlier contributions to the series being of any worth, and I’m not sure I could take yet another Mark Gatiss story. Despite being an excellent writer outside of Doctor Who, for me there’s something about his Who stories that fail on every occasion. Having yet another season to feature both the Daleks and Cybermen was a mistake, especially since both were under-used, particularly the Cybermen. It feels like a long time since we had what felt like a genuine Cyberman story. Only Rise of the Cybermen/Age of Steel comes close in hindsight. For such an iconic enemy to be treated so poorly is a great shame. I did like the less fantastical, darker tone that the series hinted at, but this wash’t the great change promised in DWM interviews etc, it was more of a subtle shift – albeit in the right direction, but clearly not different enough for a new Doctor. Steven Moffat has, of course, disputed any suggestion of a decline in viewing figures. But the sad truth is, the quality of the writing has dropped, and perhaps combined with the later scheduling, which personally I prefer, but for family viewing, this may be detrimental. Not every season can be great – we've been there before through the decades, but even the poorer seasons have the occasional hidden gem. If anything, on the assumption Moffat isn't willing to let any new blood take over any time soon, you can only learn from your mistakes. A new season with a new Doctor has, by tradition, often been something of a mixed bag, so I'm really hoping that now everybody has seen what Peter Capaldi is capable of, the next series of Doctor Who is written with his Doctor firmly in mind. Having tuned in with a hopeless optimism each week that my faith in the show would be restored, I’m finally left to conclude, that it needs either a rest or a new showrunner – and as one of the many fans who kept the spirit of the show alive during its wilderness years, it pains me to say that. Death In Heaven was a dreadful conclusion to the previous week’s excellent episode. Yet another convoluted and overblown finalé, at the sacrifice of a good story. We’ve been there so many times. For a show so versed in change, to be stuck in its ways is a great shame. The show’s mid-1980s crisis is a mere blip in the timeline compared to the last few years. I thought flying Daleks were silly, but flying Cybermen take the biscuit. Thay made the Myrka look serious! However, the icing on the cake was the saluting Brigadier/Cyberman at the end. I almost threw up in horror. If this was the only way to pay tribute to one of the show’s most iconic characters and the late, great Nicholas Courtney, then Steven Moffat should be ashamed of himself. The saving grace is Peter Capaldi. Arguably the best Doctor since the show’s 2005 revival, he deserves much better material to work with than the tripe he’s been given to work with each episode. It seems to me that the production team are so absorbed in their own self-congratulatory bubble, they’ve lost sight of what makes good Doctor Who. Nor do they know who they're making the series for any more – anything going out after 7pm on a Saturday evening needs to be intellectually stimulating and creative as well as action-packed and entertaining, with writers willing to take risks. Sadly, having to write for the single episode format closes so many doors. It's time for change – it would be so good to see what Peter Capaldi would make with some decent writing and ideas. I thought Dark Water was brilliant. Finally an episode that felt like Doctor Who. It did have a slight old school vibe about it which I liked (we all knew that St Paul's scene was coming). Why couldn't the rest of the season have been this good? Dark Water was unsettling, uncomfortable and unpredictable - just how modern day Doctor Who should be. OK, we had essence of Army of Ghosts and Revelation of the Daleks intermingled into the plot, but even so, it worked. My only disappointment was that Missy didn't turn out to be The Rani. Like many fans, I'd been expecting the return of the Rani from Missy's first appearance. Michelle Gomez really stole the show and played off Peter Capaldi's Doctor brilliantly. We also had a great, if predictable reveal of the Cybermen. This would have been a real treat had we not known months in advance they were coming. The Cybermen too had regained their menace. Although its fair to say that in years to come, we'll still be watching that original B&W Invasion clip of the Cybermen in front of St Paul's. So clearly the best has been saved until last. But shouldn't every episode be the best?! Finally, a two parter, with no infuriating "Next time" trail at the end. If only we could have this each week. What a mixed bag this season has turned out to be. In the Forest of the Night was arguably one of the most beautiful looking episodes in a long time – the sets and effects were simply stunning. If only we'd had a half decent plot to go with it. Going out at 8:15pm on a Saturday evening, this should have been a dark and explosive dystopian tale; instead we got an unfortunate school trip in an episode that felt like it should have been part of the CBeebies schedule. A great shame, given how damn good the whole thing looked. I do feel for Peter Capaldi – he's clearly giving it his all. And cudos to him for performing consistently brilliantly given the pathetic writing and material he's been given to work with. Steven Moffat has clearly forgotten everything about the show he allegedly grew up loving, and has certainly lost direction for it. Sometimes I think they simply try too hard to impress. That said, next week's does look rather good. Well after several weeks of episodes that left me disappointed and infuriated, I'm pleased to say I found Flatline brilliant. Finally a proper creepy and unpredictable story with dark atmosphere, and an original idea. Certainly one of the very best of the season so far. My only gripe was the Addams Family reference - I've never been a fan of these popular culture or TV references in the show (David Tennant's Scooby Doo impression will remain the single most cringeworthy Who moment ever!). The Doctor really shouldn't know what the Addams Family is! That would have been better left unmentioned, since most viewers would have got the homage. And the way the Doctor quickly and easily dispelled the Boneless was a bit disappointing; mainly because we were running out of programme time (AGAIN! ), that felt a bit rushed sadly. But minor gripes aside, Flatline was a return to form and a solid example of the type of scary Doctor Who that we should be watching in 2014. What gets me, is people raving on forums and blogs about how utterly amazing/outstanding/awesome (insert suitable OTT description here) Mummy on the Orient Express was, gushing over the episode and awarding it 10 out of 10 in online polls. Seriously? You're telling me this was as good, if not better than Genesis of the Daleks? Or Caves of Androzani? Dalek? Girl in the Fireplace? Or Blink? You have to be joking, right? I'm not saying it was bad – on the contrary, it was a fun old romp. But I'd hardly rank it among the greatest Doctor Who stories to ever grace our screens. However, despite the ludicrous premise, Mummy on the Orient Express was actually quite enjoyable. A very well made and well paced episode. I wasn’t fussed over the conclusion; a bit drab, but Peter Capaldi’s Doctor was firing on all cylinders throughout with many Tom Baker or Sylvester McCoy-esque moments. In truth, it probably was one of the better stories of the new season – but to see it rated so highly baffles me. Unless these blogs and forum posts are from young fans and teenagers who have only known the show since the David Tennant or Matt Smith era. Mummy was a simple story written, again, for the single episode format. And that format has become tiresome. I've said it before, and I'll keep syaing it: We’re long overdue an epic two-parter where story lines and characters can be properly fleshed out. I'm left disappointed and frustrated each week. Like most, I was tremendously excited about a new Doctor and a new season, and was looking forward to reviewing each episode of this new chapter. Unfortunately, little has actually changed, beyond our brilliant new Doctor. There is no denying Peter Capaldi is utterly perfect for the role. If only we'd had a complete change of showrunner and writers to go with the new Doctor. The BBC is sadly resting on its laurels and has been since the revived show became so successful. No risks, no originality - and after watching Kill The Moon, no idea of who its audience is either. Kill The Moon started brilliantly - and when they got to the Moon itself, the story had all the makings of a fantastic episode - at last. It looked stunning, it was dark and scary. But let's cut to the scene where they discover the Moon is an egg. AN EGG. I burst out laughing, and with all that followed, including both the Doctor and Clara's OTT, unconvincing outbursts, the story went from great to nonsense in no time at all. Once again an opportunity wasted. This season has been largely made up of stories that have a great premise and are a big fail in the end. Moffat & Co clearly have no idea who they are writing for any more. An episode that is broadcast at 8:30pm on a Saturday evening should have more thrills, scares and clever writing - intelligent science fiction. Instead we got a conclusion that was evidently written by a child. Kill The Moon started off feeling like a modern take on classic Who, and it worked so well, only to be ruined. I do miss the days when the TARDIS would randomly land on an alien world or point in time – and there was a mystery to solve, a race to save or a villain to beat. It feels like a long time since we’ve properly had that. Even the appearance of the Daleks doesn’t shock or surprise the Doctor any more. It is also a great shame nowadays that we've lost the cliffhanger. It really has been a long time since we had a two-parter. The cliffhangers formed such an integral part of the enjoyment of Doctor Who (and on the few occasions we had them recently, the obligatory “next time” trailer instantly ruins any excitement or suspense). It’s a sorry sign of the times, meaning that episodes are more disposable along with the writing - almost as if the BBC are not crediting their audience with the attention span to go beyond a single episode. And therein lies the problem - stories are now written to fit into the 45 minutes allocated. There’s only so much you can do with that. Plots have to be quick and fast at the sacrifice of atmosphere and suspense, and new characters or villains don’t get any room to develop. Capaldi is arguably one of the best Doctors of the modern Who era, so it’s frustrating that the show isn’t living up to its legacy or potential. OK, one step forward, two steps back. The Caretaker felt like the return of the obligatory "silly" episode, which we haven't had for a few years (think The Lodger or Love & Monsters... two horrors that simply shouldn't be classed as canon Doctor Who). I'll admit it was fun. It had great dialogue. It was a laugh. It looked good. So was it good telly? Yeah, it entertained. But was it good Doctor Who? No. This type of episode frustrates me. It’s light hearted filler - as if there’s room for any. As if there should even be any! The bottom line of The Caretaker, was to better introduce the (still irritating and pointless) Danny Pink and have the Doctor approve him. The sort of soap opera that shouldn’t be in Doctor Who. We've had more than enough of this with the Ponds. And it took two people to write this?! The Skovox Blitzer was hilarious. I’ll give it that. It looked good (until you realised it was smaller than half a Dalek) and that name does sound like your favourite obscure New Romantic band. In short, it was, rather silly. Overall The Caretaker felt as daft and pointless as Paradise Towers or The Happiness Patrol did first time round, with less threat or plot than either. And I'd gladly watch either of those again than this. A complete step in the wrong direction, and wasted opportunity. Well, what can I say... that was a brilliant episode! Arguably the strongest so far of this season. The sets and locations were excellent – atmospheric and suberbly lit. The whole thing looked rather beautiful. The CG sequences were fantastic too. Even though there's something about the CGI this year that isn't quite as convincing as it has been in the past, the ideas and designs make up for that. Time Heist was an original, if slightly predictable story. It was obvious from the outset that this would be the Doctor's doing. This was really Doctor Who does Hustle – certainly a first for the series and a novel, exciting and ideal scenario. Jenna Coleman has completely come into her own as Clara in this season, finally given space for her character to develop, although I am sort of annoyed at the fact the Doctor keeps dropping her back off at the end of each episide to continue a normal life. And Peter Capaldi's Doctor is going from strength to strength. It's evident that by the time Time Heist was in production, he was feeling comfortable in the role, and I think this episode saw his strongest performance to date. Time Heist saw a good balance between sets, props, location work and CGI. There's just something far more convincing about seeing real locations or prosthetics. The Teller was superbly realised; very creepy and ultimately, almost cute. Keeley Hawes was (as ever) brilliant – she certainly deserved more screen time. For perhaps the first time since the show's return in 2005, I'm noticing a greater divide in fan opinions over the new series on forums and social media. Although on a lesser scale, this is perhaps not unlike the Tom Baker to Peter Davison transition which left hundreds of fans stamping their feet with objection. Which in hindsight was rather silly. But a divide in opinion can be a healthy thing! A forum topic of endless fan "squeeing" is nothing short of infuriating; gushes of overblown admiration for every last line of dialogue just makes you question just who is watching! To me, this feels like a healthy shake-up, though not nearly as much as was needed. Change has always driven the show forward, and in recent years it's been more of a gradual evolution than change. The biggest change until now was probably with the Matt Smith era, which saw things head off in more of a fantasy fiction direction with more emphasis on the companions than Doctor, which I found rather unbecoming. With the Capaldi era, we're clearly back in the realms of good Doctor Who science fiction, with an enigmatic air of mystery returning to the Doctor. So with an older Doctor and the slight shift in tones and stories, it does feel like we've crossed a division, and a change that's too much for some, and the ideal change for others. I found Listen to be atmospheric and superbly directed, and certainly one of the more unusual Doctor Who stories. That said, I'm not sure it's one I would rush to see again - was there any need to see the Doctor as a boy and have yet another ex-Doctor flashback? Even though we don't actually see the Doctor as a child, I still think it un-neccessary to even go there; the less we know about the Doctor's past(s) the more mysterious and enigmatic he remains. The story had all the hallmarks of recent Steven Moffat stories - i.e. a man running out of ideas. But I did love the overall creepiness of it; again a clear sign that the tone of the show has (finally) shifted. Perhaps not a story to suit all tastes, but still miles better than last week's. Robot of Sherwood wasn’t as much disappointing as it was a missed opportunity. OK it was fun, it was a romp, but it wasn't much of an adventure. The plot may have been a bit silly, but the Robots themselves looked fantastic. Having said that, I would have preferred a proper historical adventure – it does seem that modern day Who cannot make a historical story without having to include robots and/or spaceships. Ben Miller’s resemblance to Anthony AInley’s Master was spooky – leaving part of me wishing that he had been cast as a new Master in this guise. Peter Capaldi’s Doctor had some great moments though and the dialogue was brilliantly hilarious in places. Well, what can I say? Into the Dalek was a superb episode, akin to the high standard of the 2005/06 series and at long last, feeling like proper Doctor Who once again. Peter Capaldi's Doctor is proving to be wonderfully unpredictable, with confused emotions and a darker side – all rather alien, just like the Doctor should be. If this is the start of the promised change in tone of the series, then I'm really excited. The scenes set in the Dalek interior were excellent – a real adventure, and a new take on the old Fantastic Voyage story. Although the story itself was a little weak. The Daleks seldom get the screen time they deserve, and this felt more like a snapshot of a bigger adventure crammed into 45 minutes, albeit 45 well-paced minutes. Even the incidental music has been given a desperately needed overhaul - darker and more atmospheric, perfectly suiting the Daleks, who have finally got their sense of menace back. What can I say.... Peter Capaldi was fantastic from the word "Shush". I get the feeling he is fast going to become one of the greatest Doctors. Capaldi's Doctor takes elements from Tom Baker, Jon Pertwee and even fellow Scot Sylvester McCoy; add to that those distinctive frown lines and crazy eyebrows, with a bit of David Bowie style influence - and you've got the new Doctor. It's clear that Capaldi's lifelong admiration of the show makes him perfect for the part; he knows where it's been, and where it can go. Just one episode in and I have high hopes for the new season - I just hope the scripts hold up. I really liked the robots; creepy and well realised, but without enough screen time. Far too much was wasted on the un-necessary dinosaur, which added little to the plot. So the story (what there was of it) was a deliberate rehash from Girl in the Fireplace, but they could and should have done much more with it. A poor opening story in that regard. I could have also done without Matt Smith's rubbery mug turning up at the end - it was almost as if the production team felt they had to put it in for the kids... in case they were terrified by a grumpy 55-year old grey-haired Scot! I'm also guessing that was the Rani at the end... very promising casting if that's the case. The new title sequence and music - firstly, I think it's wonderful that this is (or started out as) the work of a fan. That's brilliant. And what a departure from the overused time vortex! Very original, and very different to any title sequence we've had before - a bold move. As for the music, I'm not so sure on first impressions, but I"m glad to hear something a bit more electronic again. I've read in DWM that the first story was more of a transition; more of a Matt Smith kind of story (in the same way Robot was a Jon Pertwee kind of story for example) and I get that. So I'm really looking forward to the promised darker, different tone of the rest of the series. In recent years, Who has become all style over substance. It looked brilliant, but the writing and ideas have been awful. With so many changes taking place from the production team to leading man, music and titles, here's hoping that things will finally be back on track, giving us stories as strong as what we had back in 2005-06. I really can't wait to see how the new Doctor develops. Capaldi was made for the part; it's great to have an older actor back in the role. Steve Cambden has granted Sevenzero.net permission to use some of his photographs of the original Blackpool Doctor Who exhibition, taken around 1977. So here is an online gallery of Steve's pics. I've just released a new album via Bandcamp. 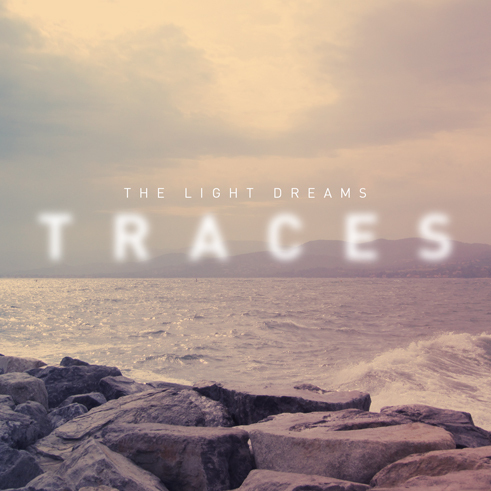 TRACES is a dreamy soundscape, forged from classic 80s and 90s synth sounds. Traces is available on MP3 and CD/download bundle. Musical influence comes - as usual - from the likes of Jean Michel Jarre, Mike Oldfield, Peter Gabriel, Vangelis and Gary Numan etc... but also from a lot of great books, from authirs such as Christopher Priest, Graham Joyce and Haruki Murakami. However, it's also inevitable, that much of my music does not towards the Doctor Who incidental music, particularly from the late 70s onwards. 28th January 2014 - New year, new Doctor - new clothes! So Peter Capaldi's costume has finally been revealed, as a smart navy blue suit. Described as a back to basics approach, it suits our new turtle-faced, crazy-haired Doctor perfecty. Fingers crossed this slightly more serious approach extends to the stories themselves. Good riddance to the ridiculous bowtie and infuriating fez! What still amazes me about classic 'classic' (oh how I hate that term) Doctor Who, is that all these years later, there are still 'new' stories to discover, whether it's old episodes released on DVD for the first time, or the discovery of missing episodes, subsequently rush-released on to DVD. The Enemy of the World is one such example, and it's a real gem. A tad slow, as a lot of the old six-parters are, but a wonderful story nonetheless, with a superb dual performance by Patrick Troughton as both the Doctor and his lookalike, the evil Salamander. And I've just watched The Ice Warriors, which I enjoyed. Again, a bit slow, but that was how things were back then. Still, it was great to see the icy reptiles in their first story, complete with bizarrely animated episodes for the two that are still missing. And speaking of missing episodes, we've still got the DVD release of Web of Fear to look forward to - now, that was one story that none of us ever thought we'd ever see, so it does pose the question of what will be found next? The rumours are already bubbling under the surface that another impressive batch of long lost episodes have been recovered, so now we're just waiting yet again, for that official announcement! I also had my annual viewing of Destiny of the Daleks recently. Like many Dalek stories, I simply don't tire of this one - Tom Baker is on the top of his game and Douglas Adams' work as script editor is just superb. The lack of budget really made the production team think on their feet - and this gave us the low camera angles, the likes of which had never really been done before in a Dalek story. The fact that the Daleks are battered and held together by shiny masking tape actually gives them a certain charm - we are in the ruins of the Kaled city anyway! Even the rubbish Davros bobbing about in his ill-fitting chair and ill-fitting mask has a certain appeal!. Basically against all the odds and constraints, the team behind the show at that time still pulled off an excellent Dalek story. Not Doctor Who related, though certainly Doctor Who inspired, I recenly released a new album of instrumental music centered around space travel. 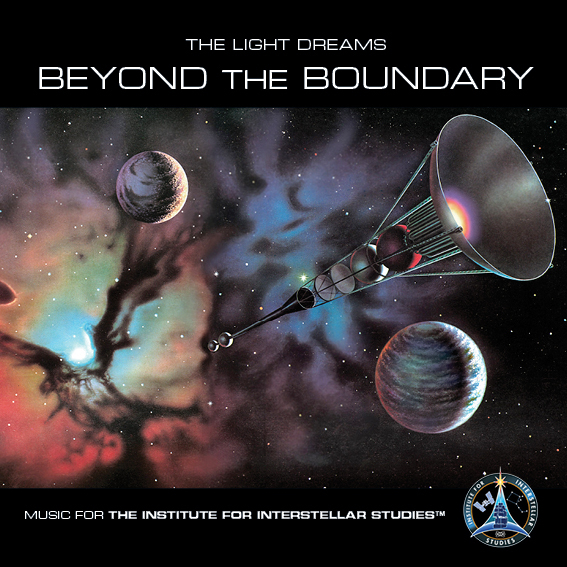 Beyond the Boundary was composed specially for the Institute for Interstellar Studies, and is available from Bandcamp. The full album download comes with a 12-page PDF booklet featuring stunning artwork from space art legends David A. Hardy and Adrian Mann. 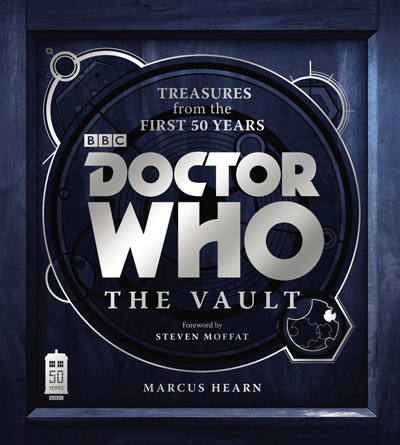 Arguably one of the most impressive Doctor Who books to date, and certainly one of the few worthwhile pieces of anniversary merchandise, Marcus Hearn's The Vault takes an alternative approach to mapping out the show's 50-year legacy. It's a nicely designed book of epic proportions, with plenty of great quality, big photographs, most of which have been taken specially for the book. These comprise old props, costumes, photos, scripts and merchendise. A number of collectors have contributed to this book, including Steve Cambden, who's official web presence is part of this very site! Check out my interview with Steve where he talks about his collection. One thing I've always felt has been neglected from such books is the various classic exhibitions, such as Blackpool, Longleat and Llangollen. There may not be enough to write an entire book on these but certainly enough for a chunky chapter. The same with many of the props, such as the Daleks for example, who have ended up all over the place (though if you want to know that, then dalek6388 is the place to visit!). This is probably the first book, certainly in a long while that has shown us new photographs of old props and costumes, though part of me can't help but think this idea could have been expanded on a lot more - but that would perhaps be a different book! Speaking of Daleks, while The Vault does its best to cover all toys and models, it does appear to have neglected to mention the excellent range of SEVANS models that were available from around 1984 to the early 90s. Again, they could have made a nice little feature on this - the most accurate and detailed Who models to date and one of the most siginificant bits of merchandise at a time when there really wasn't much around. But minor gripes aside, The Vault is an exciting book for the real Doctor Who enthusiast. A lot of effort has clearly gone into this publication, right down to the use of rare or alternative photos to those we might be familiar with - with so many other books recycling the same old content for a new (or old?) audience, in The Vault, everything feels fresh. Even the photos of toys, such as the Dapol range of the 1980s or the Marx Daleks of th 60s are represented here in nice, large photographs rather than the postage stamp sized pictures we usually get in books such as this. For me, this is the one book to get to commemorate the show's half-century. Personally I've always felt the notion of a Christmas "special" has cheapened the show somewhat, presenting us with generally poor stories with a festive feel, which are unfortunately considered canon. I wouldn't mind so much if we just had a one-off, non-festive adventure, but the need to litter each special with snowmen and turkeys, by my cynical book, just isn't Doctor Who. I already felt the whole Trenzalore thing had been stretched beyond its creative scope, and Time of the Doctor was simply lazy writing and an attempt to please all kinds of fan by the inclusion of Daleks, Cybermen, Weeping Angels, Sontarans and even (unseen) Tereleptils (why?! ), in yet another over-ambitious and convoluted finalé. Although the show has had one or two voiceovers in the past, the voiceover in this episode was obviously to help condense the story into the hour duration, and as a consequence, the whole thing felt rushed and lacking substance. In my view, the Doctor resigned himself to looking after the town called Christmas far too easily. But I'll skip the ranting. The whole story basically equated to a big 'reset' button; with the Time War averted, Gallifrey still in existence and the Time Lords having gladly granted the Doctor a whole new cycle of regeneration at Clara's request. Again, all too quick and easy. Who mythology has been fiddled with more than enough since the show's return, and now we have the "revelation" that the 11th Doctor is, in fact, the 13th. Again, lazy. But let's face it - the show is such a money spinner for the Beeb these days, they were bound to work out how to keep it going. All of the above culminated in the moment we'd all been waiting for, the regeneration of Matt Smith into Peter Capaldi. And once again, we had a big, gushing pre-regeneration scene, followed by the quickest regeneration sequence in the show's history. At least they did it differently this time, but it still felt like a wasted opportunity to be more creative with the changeover sequence. Actually, it might have been interesting if we hadn't seen the Doctor change at all... what if Peter Capaldi had just strode into the console room through the doors, or popped up from behind the console with his new face and kidneys. Bring back some of the mystery to both the Doctor and the series, which for the last few years has been sadly lacking. So for me, a disappointing end to a disappointing era. Matt Smith had some very poor writing and lousy stories to deal with. I didn't dislike him as the Doctor as such, but I felt he never quite reached his potential. The big let down has been Stephen Moffat. Granted, before becoming showrunner, Moffat's stories were brilliant. Since taking over, his writing has been very poor (too much energy perhaps directed towards Sherlock?). 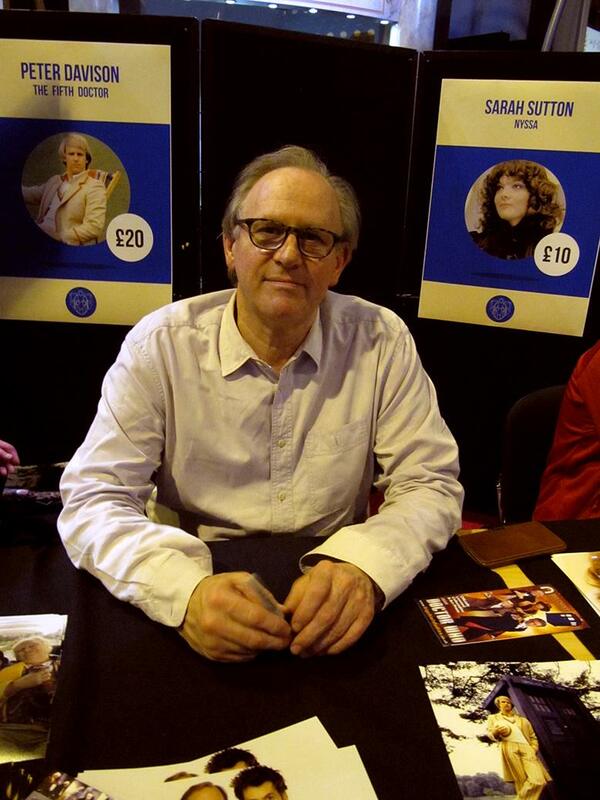 For all his tales of being a Who-obsessed child, and photos of him with his nose firmly rooted in his Target novelisation of Destiny of the Daleks, you'd expect him to have a real understanding of the show's ethos and history, yet he's been happy to meddle with that, even changing the Daleks (thankfully temporarily, it seems). Under his tenure, Doctor Who has become fantasy, rather than science fiction. In short, it's time for a new showrunner.